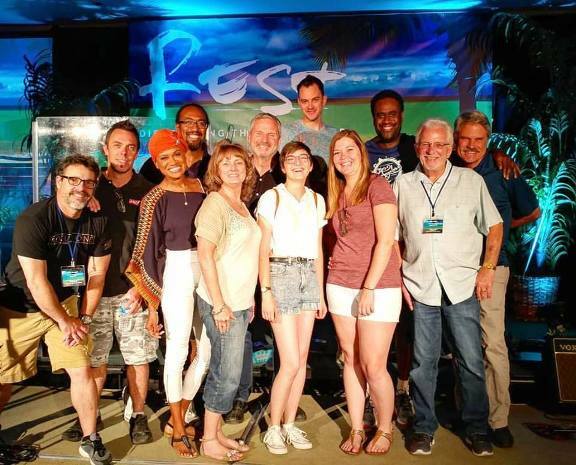 The 98th Annual Missionary Church Western Region Conference was held May 23-25, 2017 at the Indian Wells Resort in the Palm Springs area with our conference theme REST…DISCOVERING THE REST OF GOD based on Matthew 11:28. 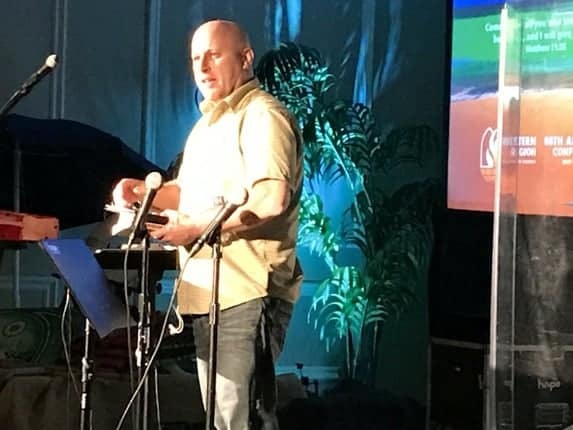 Opening and Introductions…Master of Ceremonies Pastor Chuckk Gerwig skipped a relaxing beach vacation with his French beach bum brother Milton to kick off our time of discovering God’s REST with the rest of us! Mike Livingston, Regional Director then opened the conference with prayer. The word Sabbath means a day but it also means an attitude. It is a perspective, an orientation. It refers to a Sabbath heart, not just a Sabbath day. What makes Sabbath time-whether a day or a year or an after or a week, a month or a moment? Simple: a shift in our thinking, an altering of yor attitudes. Before we keep a Sabbath Day, first we change our minds, and then we are able to cultivate a Sabbath heart. Consider your thoughts and attitudes, the pattern of them, their shape and drift. Are they leading you where you want to go, will they land you in a place you care to live? Sabbath is a day God intended to fuss over us, not we over it. It was designed to protect us, pay tribute to us, coddle us, in all our created frailty. It is the father’s gift to indulge his children. Before we keep the SABBATH, IT KEEPS US HOLY. For more inspirational insights from our speaker… (Download the PDF HANDOUT) Soul-Weariness Diagnostic List…Soul Weariness: A random, non-exhaustive, self-diagnostic list of symptoms by Mark Buchanan. Audio Sessions…Be sure to listen to all 4 sessions (MP3 audio) BELOW. AWESOME WORSHIP! 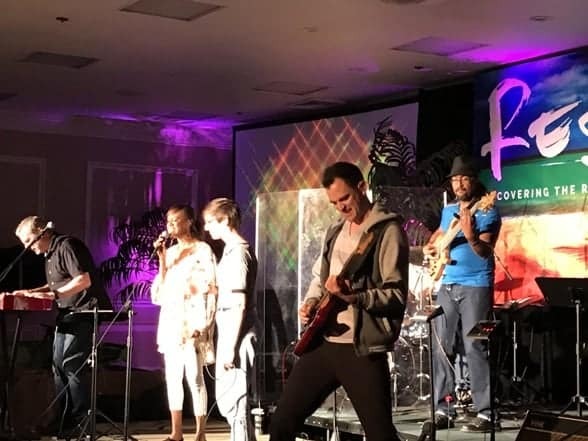 Rounding out the conference presenters were Jim Firth, Senior Pastor at Hope Community Church and 2017 Conference Worship Leader of The Hope Band. We enjoyed a new, dynamic and professional group of talented musicians from Hope Community Church in Santa Barbara. The Worship Team this year featured: Lead Vocals – Lois Mahalia (who took time off from touring with Joe Walsh to join us), Co-Vocals – Hana launa Loggins (yes, talented singer, song-writer and daughter of Kenny Loggins), Bass Guitar – William Fiedtkou (Music Director of Hope Community Church and Founder and Music Director of the Santa Barbara Youth Music Academy), Electric Guitar – Gabe Hollis (Hope Community Church Youth Pastor), Percussion – allan Fiedtkou (Professional musician and private music teacher in Santa Barbara), Guitar & Spanish Vocals, Mario Carranza (Missionary with the Keystone Project and our Spanish Conference Translator) and Keyboard & Vocals – Jim Firth. Thank you to our coffee & dessert sponsor: GuideStone Financial and Dixie Beard, Director of New Business Development, for their continued support of our region. GuideStone has been key to a number of our churhces, pastors, and staffs putting together plans of retirement and employee benefits. Contact Dixie at Dixie.Beard@GuideStone.org. Generis donated the Kindle Fire PaperWhite giveaway (Congrats to Saul Camarena of Iglesia Camino de Salvacion, Palo Alto) along with co-sponsoring the Tuesday Pre-Conference Session: The Generosity Audit! Yes you can, A Case Study that Helped a MCWR Church’s Culture of Generosity with CFW. Generosity Strategist Warren Schuh shared resources and led a case study with panel members from Baycities Community Church. Visit them at www.generis.org. From this passage, he shared the following 4 principles. The King was asking God for justice. The people had lost their strength to fight this great army. They did not know what to do, having lost hope. The eyes of all Israel were centered on God, resulting in their putting their trust in him. Toby then shared how this passage came alive in his own life through a family situation he faced recently. He shared how one of his sons had been brutally attacked by some other men for no reason and was in ICU at UCLA Medical Center in Carson, CA. He said he felt such anger and hate toward those who hurt his son that he started to pray as he needed to have God help him with these intense feelings. He prayed for God to take away the hate and anger he was feeling towards them. Reading further in the passage vs. 14-16 game him the answer. Do not fear or be dismayed at this great multitude, for it is not your war but God’s. Toby stated this was the answer he needed and something supernatural took place in him, as he experienced complete peace and all the hatred and anger disappeared in an instant. Spanish Translation…Once again the conference was translated simultaneously into Spanish for our Hispanic Pastors and Churches. Thank you to Mario Carranza (Missionary to Arab and Vietnamese refugees in Orange County, CA with the Keyston Project) who donated his time and passion to our Spanish speaking attendees. Another big thank you to our Translation Headset Coordinator, Linda Hoover who greeted and kept track of all the equipment and checkout process. CFW Breakfast, 90 participants attended Christian Foundation of the West’s breakfast to hear Board Member Chairman Randall Sanada and President Kathy Saigeon share how CFW can help MCWR churches with planned giving to help them raise resources for Kingdom purposes. You are encouraged to get to know CFW and learn the ways they can help your church. Then Kathy announced a one-day Leadership Development Conference, September 22, 2017 focused on donor development, board development, and increasing capacity. This event will be followed by CFW’s 4th Annual Grants and Awards Banquet, February 1, 2018. Visit www.CFWest.com to register. FLOW Business: Regional Director Mike Livingston led the business session of the conference by calling the conference to order. He then asked for the approval of the following motions. To approve the conference agenda, conference committees and ratify the 97th conference minutes. 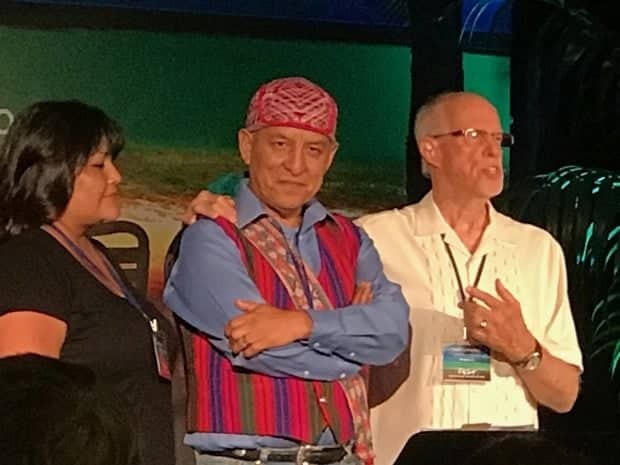 He then introduced the following who gave brief reports: Dr. Greg Chenoweth- Bethel College President, Steve Sisson- MCIF Director, Bob Ransom- US Ministries Director, and President MCI – Steve Jones. Also introduced and interviewed were Joshua & Missy Saune who recently became World Partner Missionaries after many years serving their native country of Peru through C.H.I.E.F. Over the years they have planted 2000 churches. Joshua asked us to pray for them and their next ministry steps. In his personal report to the conference, Mike shared how he feels blessed by our Lord to have had the privilege of serving the Western (District) Region for the last 28 years. He stated that in October of 2016 he presented the Western Region Oversight Council (ROC) a succession plan to prepare for a transition in leadership of the Region as he plans to pass the baton to a new leader August 1, 2018. He shared that a search team has been formed and asked for prayer that God’s man would be found to take the helm of the Region. Mike then called Mary Ellen, Office Administrator of the Region to share several administrative matters on her heart. 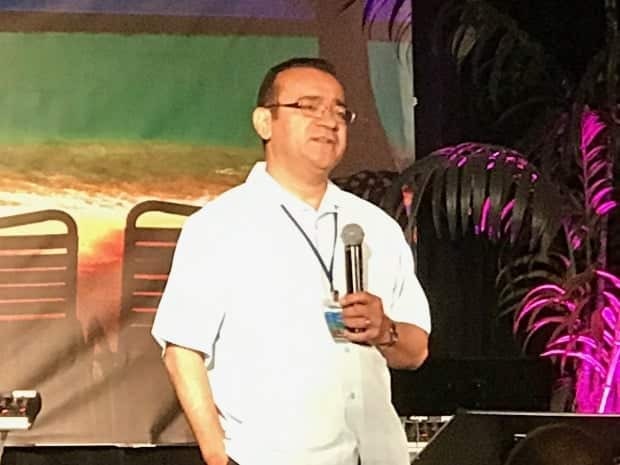 He then asked the conference to read the rest of his report noting the names of newly credentialed pastor, church plants and new member churches. He also pointed them to the directory portion of the 98th Conference Journal where the ROC members are listed as well as the one year committee appointments. 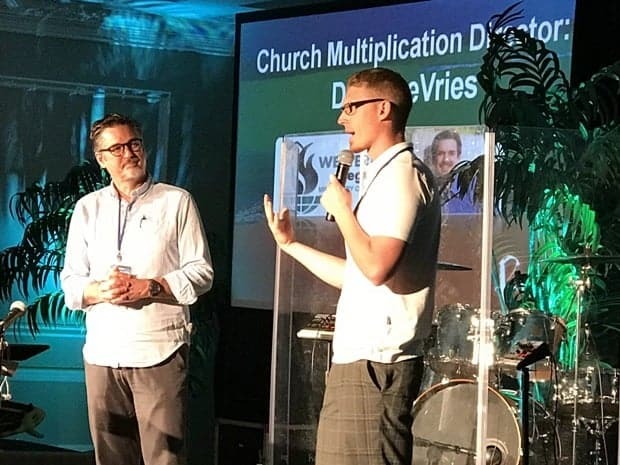 Church Multiplication Director, Dave DeVries, reported about the importance of providing the essentials to start and strengthen new churches. Pastor Dave asked Matt Brown, Church Planting Pastor of Redemption Church in Loveland CO to come forward and share. The church which began just over a year ago has purchased an empty warehouse in downtown Loveland. The warehouse is under construction to become their new church home. Dave also interviewed Pastor David Kim and Cecil Prado from the Garden Christian Fellowship in Chatsworth, CA. The church is planning to plant a church in 2018 in Flagstaff Arizona with the vision of ministering primarily to the Navaho Indians. Cecil Prado has been working with this group for the last several years and is in the credentialing process with the region. See Dave’s annual report to the conference for more information on equipping our church plants. 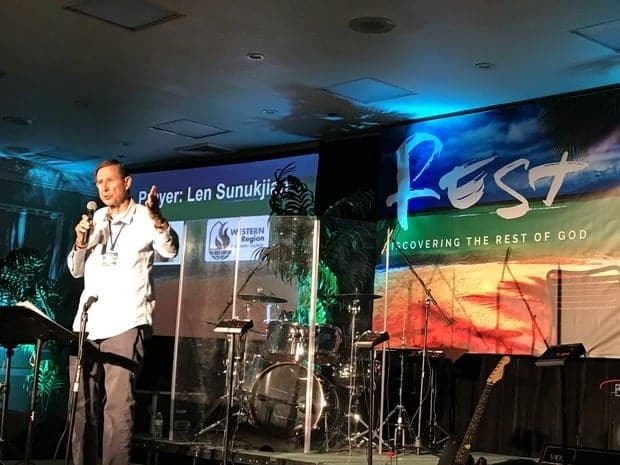 Prayer Warrior, Pastor Len Sunukjian blessed our conference during the Morning Prayer Chapel as well as several times throughout each of the sessions. Many thanks to Len for stepping in at the last minute leading our conference before the Lord. Poolside Beach Party! Our evening began with an impossible static balloon game which turned out to be very possible. Followed by a buffet dinner and some lovely harp music by VeeRonna Ragone. Entertainment was provided by MC’s: Dhondi Wiegel and Chris Schmaltz as they took on challenges such as Gone Fishing (Gummy worms and cold feet), Frisbee Toss (who knew paper plates could go so far), and Ring Toss. The floating unicorn wouldn’t stay put, but luckily Dave DeVries was on hand to do whatever was needed. He was a good sport and jumped in the pool to keep the unicorn put. We ended with an elimination game of Name What You Would Bring to the Beach, followed by a race across the pool on an inflatable duck or unicorn. The two winners voted for Dave and Dhondi to compete by proxy. After a fantastically exectued aerial leap onto the duck, Dhondi was clearly in the lead. Since his unicorn was lagging behind, Dave resorted to such childish tactics as pulling on Dhondi’s leg and assaulting his inflatable craft. In the end, Dave won for a nameless gal (anyone who knows this gal please contact us) for the grand prize weekend stay at the Indian Wells Resort Hotel. With a clear victor declared, the only question that remains: Whom will Dave put in charge next year? Beach Party Video…thank you to Gabe Hollis for creating a festive video featuring all of our photogenic photo booth participants! Thank you to Cornerstone Pastors Network and President Bill Nicoson for his continued support and sponsoring our poolside Photo Booth! CPN is a relational network focusing on pastors by providing resources, encouragement, and learning environments to lead more effectively. Visit their website at www.cornerstonepastorsnetwork.org. Memoriam Video…honoring our Western Region folks who stepped into the presence of the Lord this past year or since our last conference. Read more about the lives of these special saints in Mike’s Regional Director Report to conference. Thank you to Shelly D. Yee (Region Conference Event Planner) and Mary Ellen Dolbier (Regional Office Administrator) for the countless hours of conference support and prep! Special thanks…We would like to compliment and give recognition for the exceptional talents and many man-hours of our Tech Team: Jim Firth (Tech Team Leader), Jeff Foss (Audio/Visual Direction), Steve Broggie (Audio Tech), Gabe Hollis (Videographer & Stage Setup), Pete Hollis (Equipment Transportation) and Ellie Milne (Tech Support). 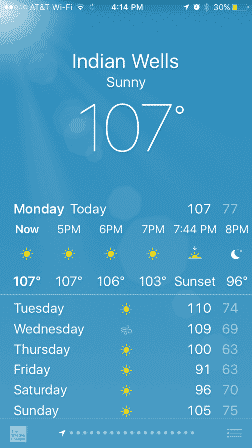 Our entire crew was greeted on Monday with temperatures in the 100’s for setup taking one for the team!